A bullet train ride away from Tokyo, where you can stay at the HI Tokyo Central YH and there’s a whole lot of beauty and adventure in the area surrounding the sacred Mount Fuji. 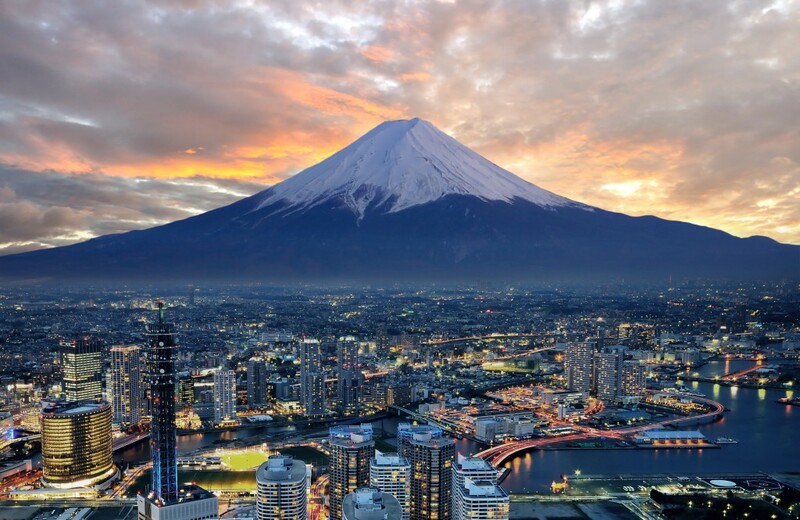 This snow-capped mountain can be seen from Tokyo, over 100 kilometres away and really sums up the nickname for the country – the Land of the Rising Sun. Most hikers usually climb to the summit at night in order to experience the sun rise from the tallest mountain in Japan. Be warned however, book a spot at one of the mountain lodges (there’s only one for each section of the mountain) for some well needed sleep, before reaching the summit for early morning sunrise. If decide to sleep outside or not sleep at all, the locals call it ‘bullet climbing’ and only 14% of climbers manage this due to fatigue. The sun rising from the summit of Mount Fuji is worth all the trouble of this overnight climb, being one of the most breath-taking view points in the world. 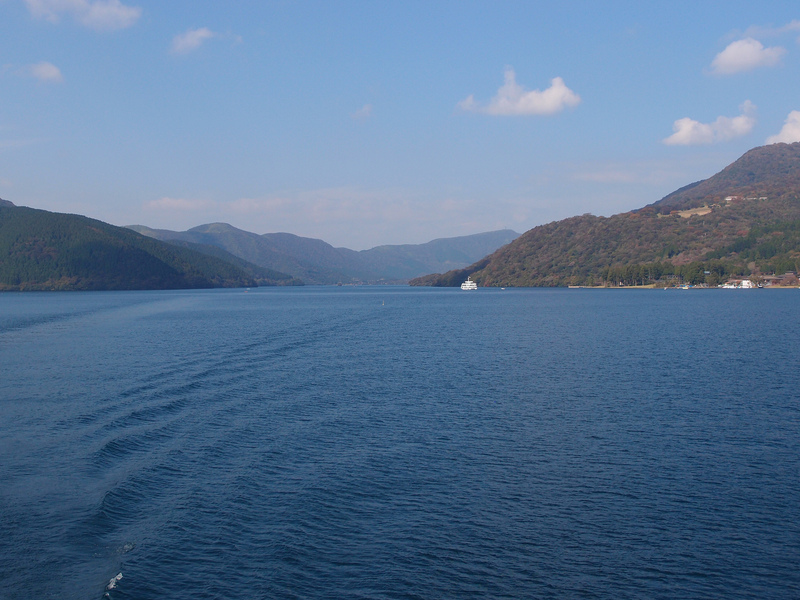 Just down the road from Mount Fuji, Lake Ashi is a serene viewing point of the mountain. Even if you don’t get to see it due to weather conditions, taking a boat on the Lake gives you amazing views of the entire surrounding area. If that’s not enough, you can also see the entire lake and Mount Fuji from Mount Komagatake. Taking a cable car up to the top gives you breath-taking views, so make sure you have your camera with you. Not far from the Utano Youth Hostel and down the road from Arashiyama station and you’re transported to a place not seen in many places on Earth. The Bamboo Forest in Sagano is a sight to behold and usually it’s one of those places where photos won’t do it justice. Take a stroll through this neatly paved forest that has a distinct sense of otherworld-ness and reach the Okochi-Sanso Villa; a picture perfect experience. Visiting the ‘White Heron’, as it’s affectionately called, is like travelling back to ancient Japan. 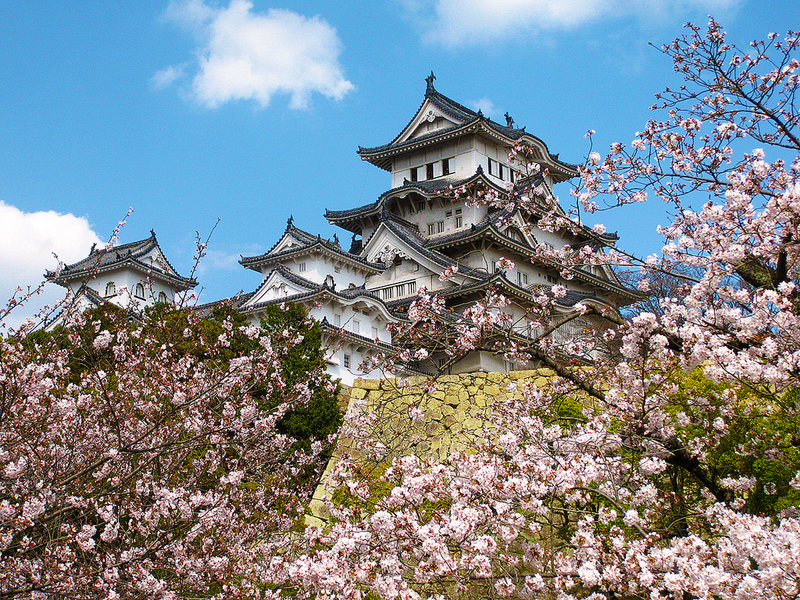 This 400 year old castle in the Hyōgo Prefecture, is arguably Japan’s most famous castle and is not only extremely well preserved, but listed as a UNESCO world heritage site. Visit to absorb a historical piece of architecture that even earthquakes and wars couldn’t topple and enjoy the view from the hill top surrounded by cherry tree blossom. There are so many superlatives to describe this relatively unknown Japanese wisteria garden in Kitakyushu. One of them would be beautiful but that wouldn’t quite cover it. Astounding wouldn’t quite cover it either. 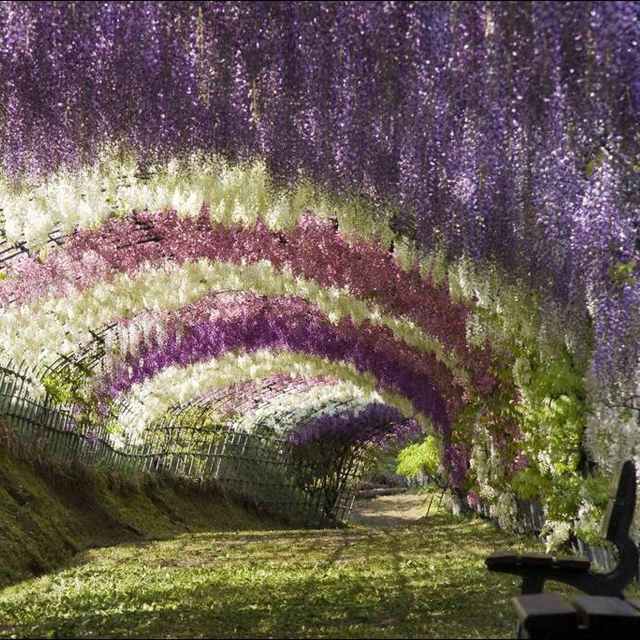 The only thing we can say about these gardens is – go and find it (stop at Yahata Station and take a shuttle bus) and pack your camera to experience one of the best wisteria gardens in the world. 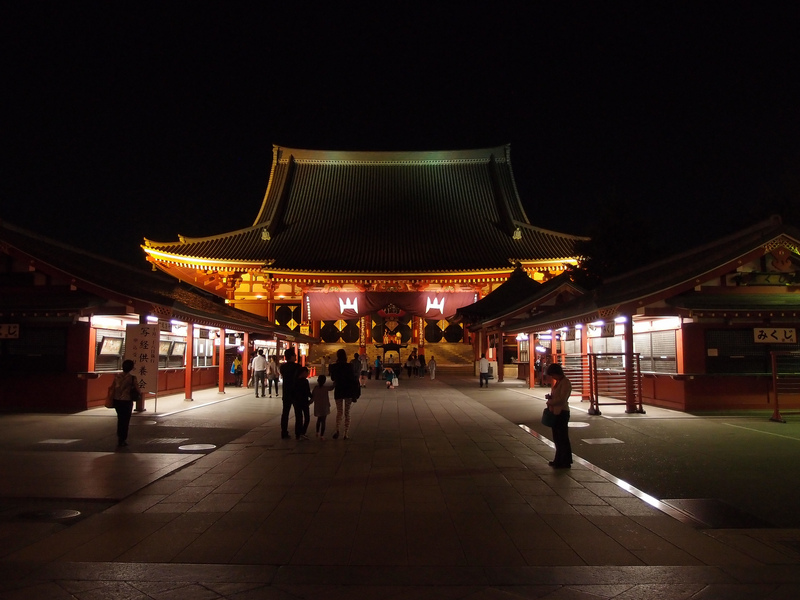 Most architecture looks better lit up at night; however very few pieces of architecture have the same effect at night for peace, beauty and tranquillity as Sensoji temple in Tokyo. 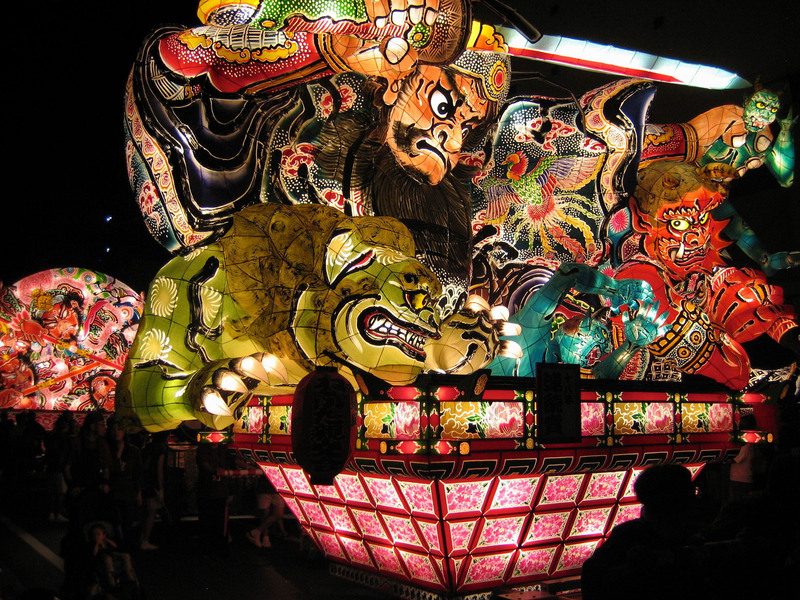 There are two reasons to visit this Buddhist temple at night. The first is it looks amazing after dark. Not to say that it’s not worth going in the day, but at night it really emphasises the peaceful, tranquil environment that it was built for. Secondly you avoid the majority of the crowds that flock to the temple in the day and you’re given the time to stroll around the grounds without worrying about stepping on someone’s toes. 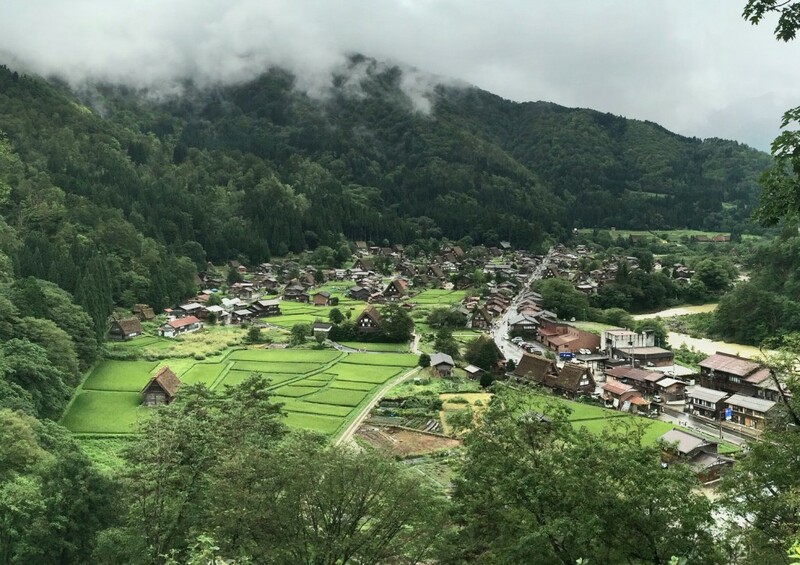 There are very few villages that contrast the bright lights of Tokyo quite like the UNESCO heritage site villages – Shirakawa-go. This small collection of villages echoes much of how ancient Japan used to be. Even in 6 feet of snow, the village, with its steep thatched farmhouses, still keeps on ticking. Like anywhere popular with tourists, it houses many cultural experiences including an overnight farmhouse stay, a visit to the open air museums and seeing this quaint little set of villages lit up in the winter snow. 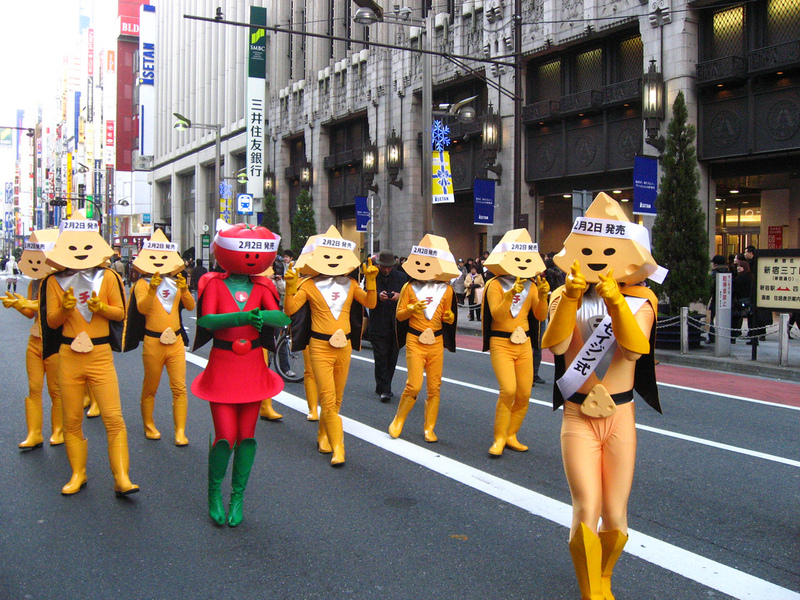 Japan celebrates the changing of the seasons like no other nation. From the bustling, and colourful summer festival in Kagoshima, the summer parades of the Neputa summer festival in Hirosaki, to the Sapporo Snow festival held in cold February, transforming ice sculptures into living, breathing experiences, it seems no matter when in the year you visit Japan, there’s always an excuse to celebrate the changing of the seasons. What kind of visit to Japan would be complete without trying the most popular local delicacy? Apart from the very delicious noodle soup, Ramen, Sushi or Sashimi, depending on which one you prefer, are huge in Japan and not hugely expensive either. 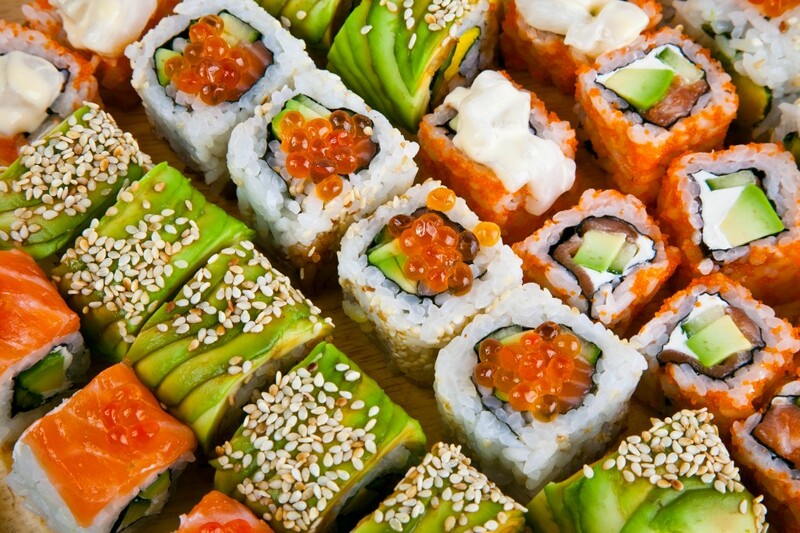 Ordering sushi in a Sushi bar has its serious downsides however, if you don’t speak Japanese. For one thing, some of the translations aren’t helpful and don’t really give you a taste of what you’re eating. Secondly, did you know you can request larger helpings at a restaurant/bar at no extra cost? Many tourists who order Sushi/Sashimi in Japan don’t realise this because it gets lost in translation. So the best thing to do before you go is to try and learn how to say “bigger portion” and you won’t go away feeling too hungry. Ideals of the Samurai are synonymous with Japan and its well revered history. It’s a culture best experienced hands on and there are many places across Japan that gives you that opportunity. One of these is the highly entertaining Samurai Kembu in Kyoto – a performing arts show and a lesson in the art of the Samurai that’s a must to get a full experience of this ancient culture. 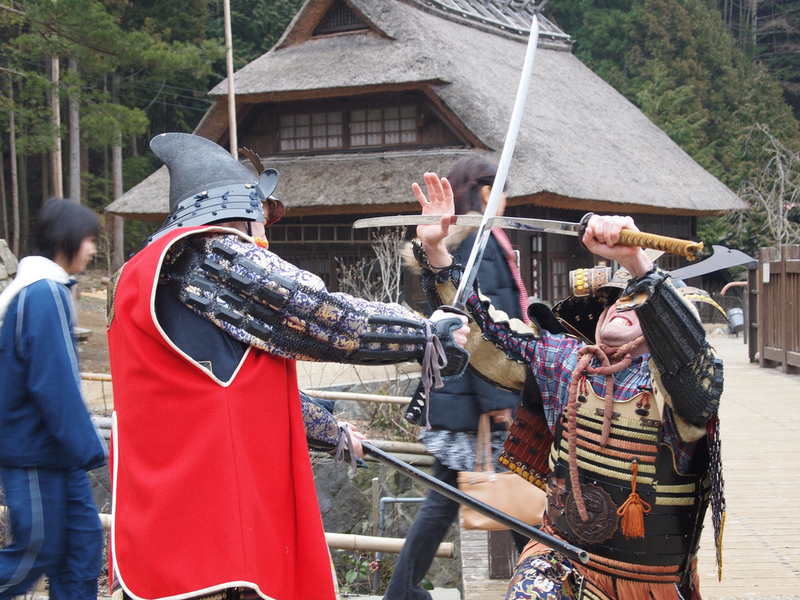 Another Samurai experience is the very cool ‘Cool Kyoto Walking Tour with the Last Samurai’. This is hosted by the oldest tour guide in Japan and is sure to keep you enthralled and entertained throughout the whole day. Have you experienced Japan and can’t stop talking about? Got some amazing images you’d like us to use? 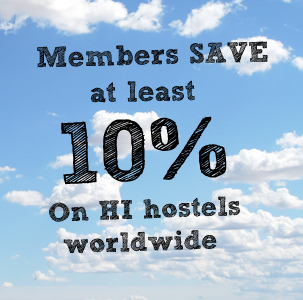 Tell us about your experiences below or email us your stories by email to socialmedia@hihostels.com. If you’re looking for resto or cuisine suggestions, favy is quite helpful! 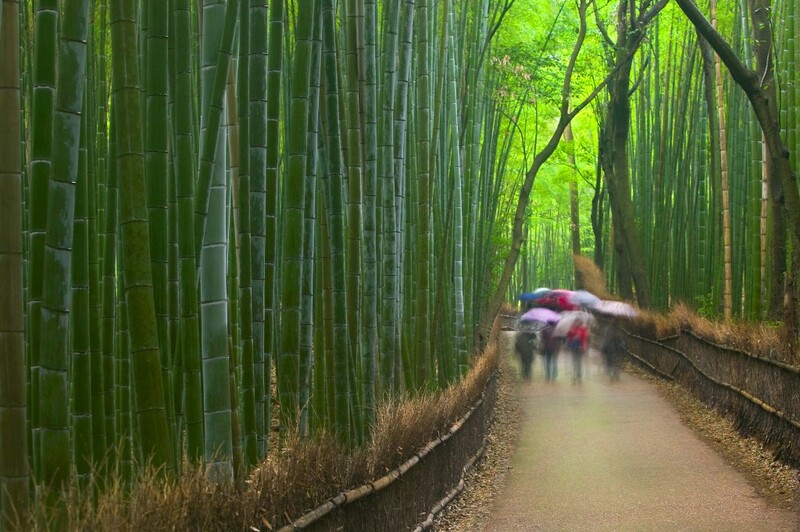 “The Bamboo Forest in Sagano” has got my attention, I am going to include it in my next trip. Though other places are also beautiful but The Bamboo Forest is a bit more beautiful.